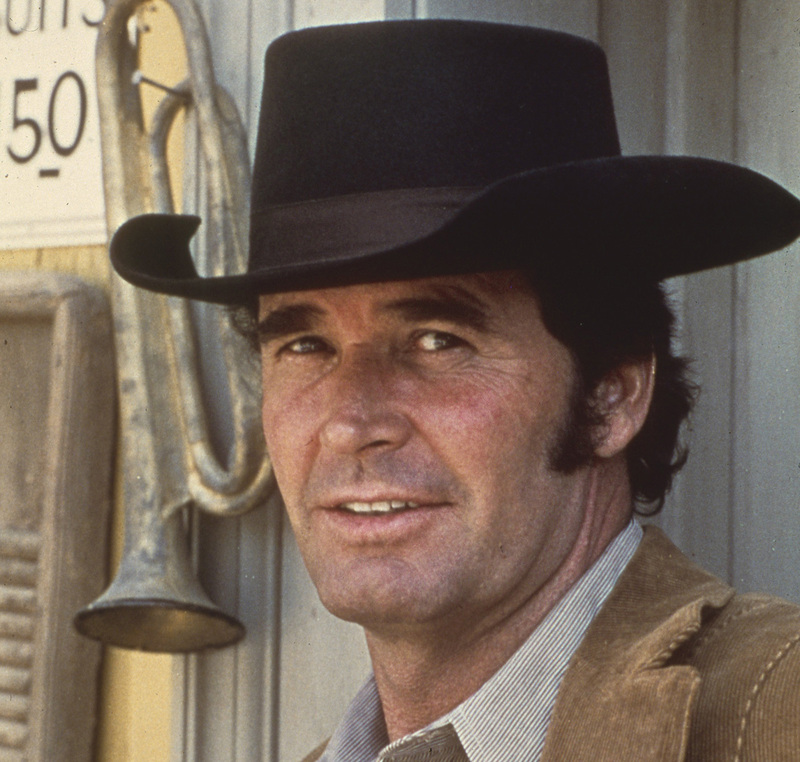 James Garner starred in two of the most enduring series in television history - Maverick and The Rockford Files. In the years between, the affable Oklahoman made a string of popular feature films but only one other TV show - Nichols. Nichols was a quirky comedic Western that debuted on NBC in 1971. Like Bret Maverick and Jim Rockford, Garner’s Nichols was a charming rogue who routinely subverted genre tropes. However, unlike the other two shows, Nichols was put out to pasture after one season. “I consider it one of the best TV series I’ve ever done,” Garner told the Academy of Television Arts and Sciences in 1999. Now, thanks to getTV, a new generation of viewers can see what America missed 45 years ago. Here are some surprising facts about this underrated gem. 1. Nichols is the name of the show, the character, and the town. 2. He doesn’t use a gun. In the pilot, Nichols is introduced as a member of the 7th Cavalry in 1914 stationed in Arizona along the Mexican border. In a scene reflecting Garner’s beliefs regarding non-violence, Nichols’ commanding officer demonstrates a powerful new machine gun, promising it will “reduce the chances of war.” Nichols rolls his eyes and tears up his re-enlistment papers. In real life, Garner was a proud Army veteran who was wounded in the Korean War and received two purple hearts. On TV, Maverick, Rockford and Nichols all had little use for firearms. 3. He’s the man with no (first) name. At no point in the series does anyone refer to the lead character by his first name. Only a quick shot of Nichols’ army paperwork, visible by freezing the frame, indicates his first name is Frank – which was also the name of the man who created the character. 4. Nichols was created by the writer of Dog Day Afternoon and Cool Hand Luke. Frank Pierson, Oscar-nominated for his adaptations of Cat Ballou and Cool Hand Luke, was one of three writers commissioned to write pilots for Garner by executive producer Meta Rosenberg. Rosenberg preferred James L. Brooks’ script, but Brooks was committed to Mary Tyler Moore and unable to work on a series if it sold. Thus Pierson’s concept was selected, sold to NBC, and produced by Garner’s Cherokee Productions. Pierson was showrunner for the series and directed six episodes, including the delightfully idiosyncratic pilot. Three years later he wrote Dog Day Afternoon, which scored him an Oscar for best original screenplay. 5. It was Garner and Stuart Margolin’s first team-up. If you love The Rockford Files, you probably enjoy the breezy chemistry between Rockford and Angel (Stuart Margolin), his former cell-mate and frequent partner in mischief. The two actors first worked together on Nichols with Margolin playing deputy to Garner’s sheriff. John Astin (Gomez on The Addams Family) was originally considered for the role, but Rosenberg and Garner spotted Margolin in Astin’s submission clip and instead cast the lesser-known actor. 6. The name of the show changed after six episodes. Nichols premiered on September 16, 1971 and struggled to find an audience. In an effort to boost ratings, NBC re-titled the series James Garner as Nichols with the October 28, 1971 episode and changed the timeslot. Unfortunately, they put it against Marcus Welby, M.D., which was then the third most popular show on TV. 7. Nichols’ girlfriend was Lois Lane. In the first episode Nichols meets Ruth, local barmaid and girlfriend of Ketcham (John Beck), the town troublemaker. Ruth was played by 23-year-old Canadian actress Margot Kidder, who would achieve worldwide fame as Lois Lane in Superman: The Movie and its three sequels. Although there was a two-decade age gap, Garner and Kidder have genuine chemistry and their camping scenes in the pilot are adorable. 8. There was a Nichols reunion in 1984. A dozen years later, James Garner and Margot Kidder reunited for The Glitter Dome, one of the of the first made-for-HBO movies. The crime drama was directed by fellow Nichols cast member Stuart Margolin who also appears in a small role. Garner and Kidder also appeared in the 1994 feature film version of Maverick, which was directed by Kidder’s Superman director Richard Donner. 9. Garner blamed the cancellation on the 1972 election. Nichols ***s in the last episode. In a move unheard of in TV at the time (and rarely done since), Nichols killed off its lead character in the last episode, creating a genuine finale for a one-season series. “That was my idea,” Garner told the TV Academy. “Because they’d canceled it. And I said, ‘Okay. I’ll fix them. They want to cancel it? We’ll just kill him.’” Garner actually ended the series on a wistful, optimistic note, with Nichols’ previously un-seen brother Jim showing up to avenge his twin’s death before riding off into the sunset on a vintage Harley (past a sign that reads “You are now leaving Nichols”). For a series that began with a message of non-violence, it was a sadly fitting conclusion. Nichols airs Sundays at 8:45 am ET/5:45 am PT on getTV.